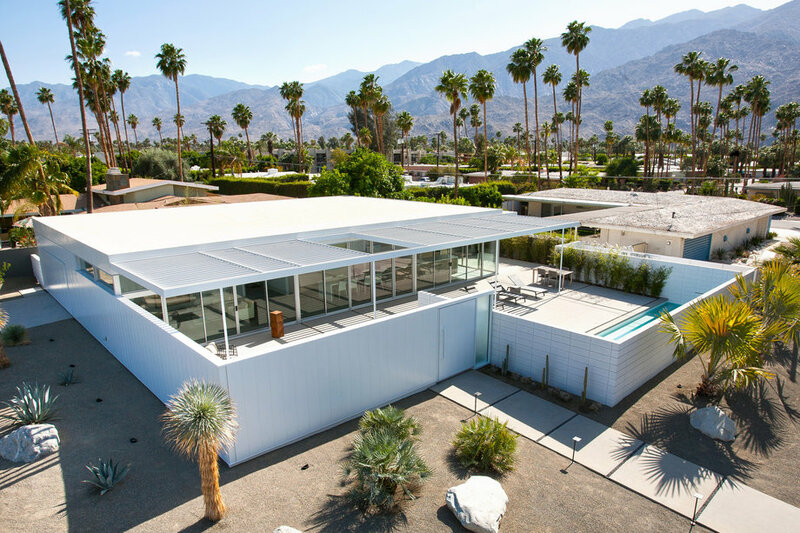 Walls for the three-bedroom 2,200-square-foot prefab house were framed in just three hours. Using 42 prebuilt steel panels from Blue Sky Building Systems, the crew started at 8:30 a.m. and had all the walls up by 11:30 the same morning. All the rough framing, including the roof, was finished in three days instead of the usual three to six weeks. Total elapsed time, from pouring the foundation to showing off the finished design: just 4.5 months. 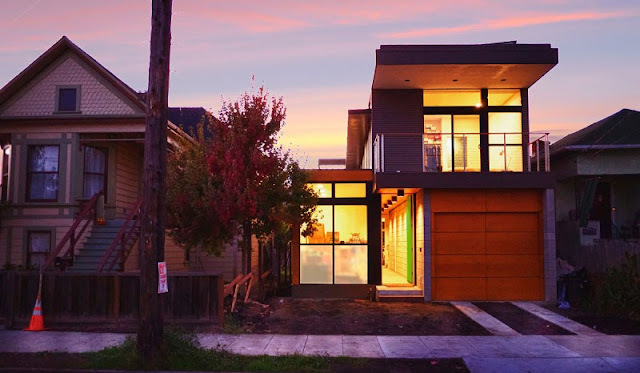 This 3,000 sqft modern prefab home replaced a dilapidated cottage on this beautiful street in Northern California. 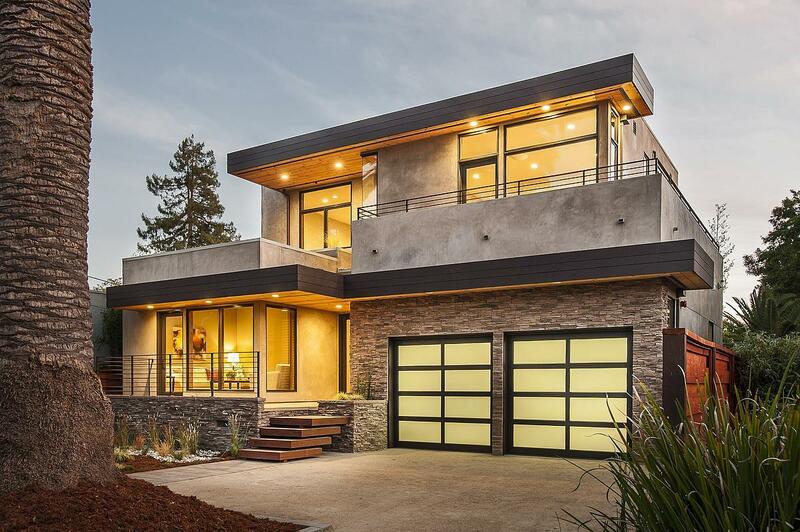 Located in Burlingame, CA, the house is a showcase of contemporary style and eco-friendly living. 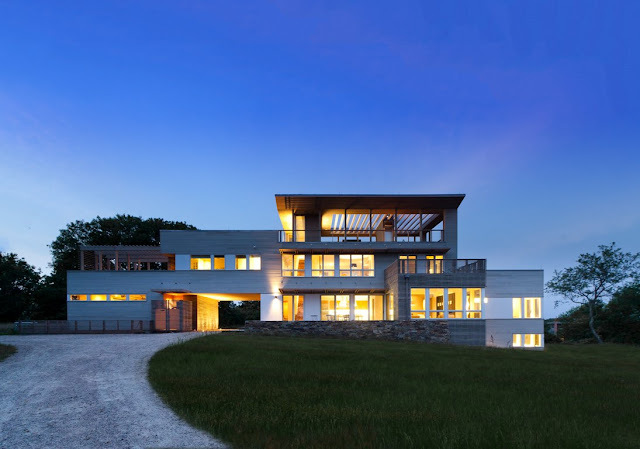 The design of the 4 bedrooms home includes a living roof, a myriad of recycled materials and energy-efficient features including electric car hook-ups. Developed by TobyLongDesign, the Cleverhomes process for constructing modern prefab homes is now easier and more efficient. 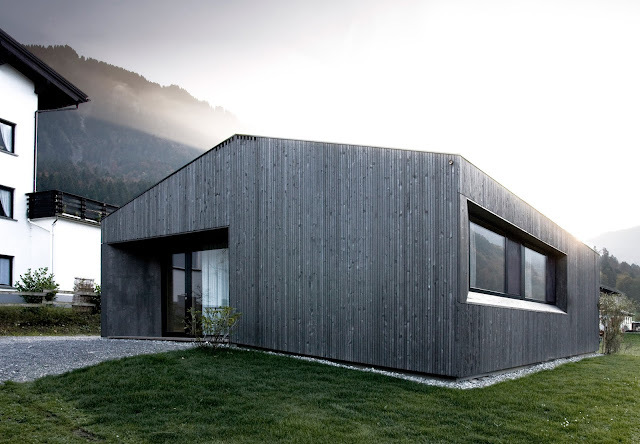 Prefab evolved. 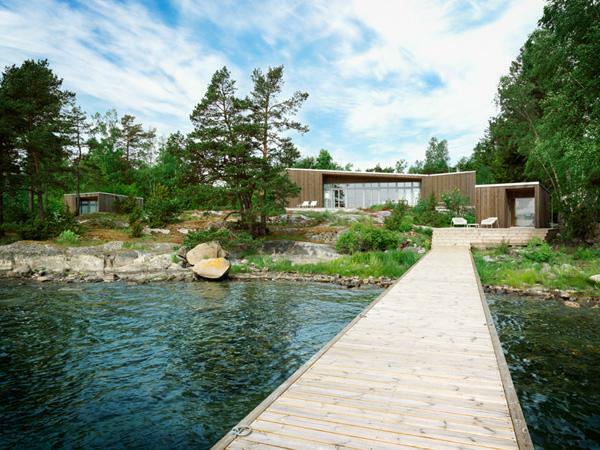 The desire to do good, better and fairer has long driven the work and production of internationally acclaimed creator Philippe Starck, as well as the work of Riko, one of Europe’s leading manufacturers of sustainable prefabricated wooden buildings. 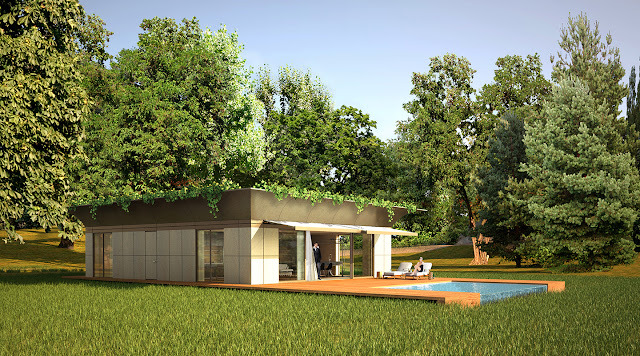 These joint values have brought them together to create Prefabricated Accessible Technological Homes – P.A.T.H., industrially manufactured houses tailored to meet the individual dwelling needs and expectations of people worldwide. Each of the 34 models of houses from the P.A.T.H range is distinguished by Philippe Starck’s signature timeless design. Yet how you choose to create your own compelling living space is completely up to you – P.A.T.H. offers a wide range of house sizes, numbers of rooms, floors, and multiple open floor plans that best fit your lifestyle and needs. You can choose between different facades, a range of roofing types, a variety of interior finishes and fixtures, such as light fittings, floor finishes, bathroom tiles, and many other possibilities to personalize your P.A.T.H. Make the most of a wide palette of renewable energy producing equipment such as photovoltaic solar panels, wind turbines and heat pumps, and rest assured that P.A.T.H model houses are rapidly built and offer their owners full long-term assistance. Designed by Swatt Miers Architects, built by Simpatico Homes the The Krubiner Residence is a modern custom-quality prefab home situated in Emeryville, California. Factory costs are typically around $150 per square foot for standard prefab homes by Simpatico Homes. A large living space of the house made from prefabricated timber elements, the entrance and two small bedrooms are organised around a central core containing the technical installations and bathroom. Four large openings create beautiful views into the surrounding landscape.